The Sama'i form has four khanat sections and a taslim (refrain) played after each khana. The last khana is played in fast tempo of either 3/4 or 6/8. 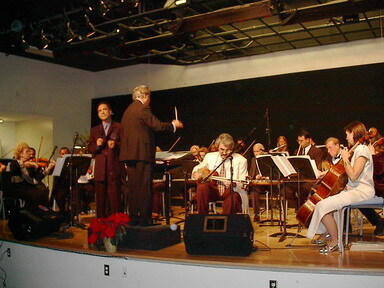 Those who are familiar with Sama'i Farafaza will notice the new melodies inserted into the original composition-the opening section led by the oboe and other woodwinds and the dialogue between solo instruments and the orchestra that is typical to the form of Tahmila, where a solo instrument leads in improvising melodies that are repeated by the takht ensemble. This very well-known Longa is performed by 'ud and qanun players as a showcase composition. 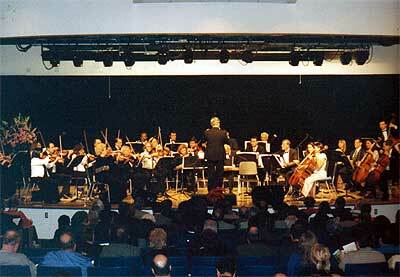 There is little evidence that the opening section of this piece was composed by Cemil Bey. Thematically the first section fits the general style of an introduction, usually in slow tempo. The longa is easily recognized by its lively duple meter. This basic melody is widely heard among the Sephardic communities in Spain and the Balkan area. The text is written in Ladino (a language mix of Spanish and Hebrew). Azzam added two distinctive variations to the original song melodies. In this arrangement Roustom assigns the main melody to the clarinet. Romania has many different types of regional folk music. This three-part suite reflects that diversity. The first two sections were composed in the style of village folk music from the regions of Bihor and Banat. The third piece is a sort of composed arrangement based on a pre-existing melody. 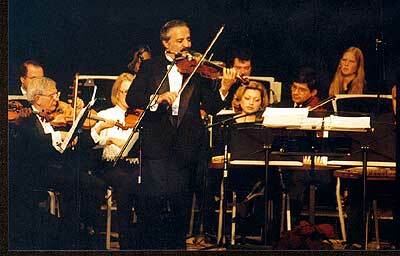 Historically it belongs in the category of salon music, much in the same vein as the "Hora Staccato" made famous by the virtuoso violinist Jascha Heifetz. The original melody was performed by the famous Egyptian singer Abdel Halim Hafez in the 1960s. Bahlam Biek was a hit and widely known throughout the Middle East. It is not unusual to record famous songs by a solo instrument replacing the vocal line. 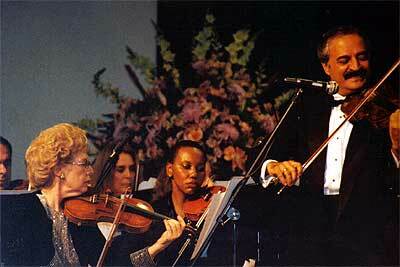 Many great instrumentalists have released their renditions of popular songs. This song has an opening theme and four different sections. 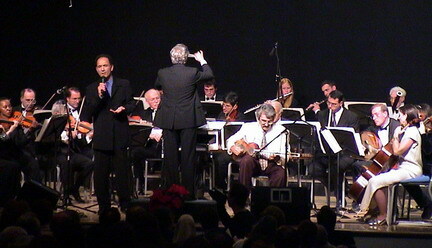 The orchestra plays short fillers as well as the repeated melody (refrain). Very few melodies have won wide popularity and recognition. La Cumparsita is certainly on of these "lucky" tunes. It is accepted in many cultures from the Middle East to the Far East and even lyrics were composed to the original melody. Previously, Betty Byers arranged this tune for string quartet and now she has successfully rearranged it for MESTO taking into consideration the kind of instruments used in the orchestra. When the popular song Miserlou was first introduced to the Western audience, it was thought to be of Greek origin. That presumption was recently contested in contradictory ways. New studies by musicologists have argued that the origins of this haunting melody may lie not with the Greeks but possibly with age-old Hasidic music. Others go further to attribute Miserlou to Druze origins of Southern Lebanon! In any form though, Miserlou still rings pleasantly in our ears. The music of the Sephardim is an amalgam of two distinct cultures: the Jewish and the Moorish. In Spain Jewish composers borrowed from each other to create a new entity. Spanish/Moorish rhythms and Jewish melodies were combined to give to the world a delightful and refreshingly new musical sound. Picture in your mind's eye this unique joining of cultures, then listen and enjoy. The lyrics tell the story of two young men who were interested in one pretty girl who does not make her inclination clear to either one of them, thus causing confusion and uncertain love. 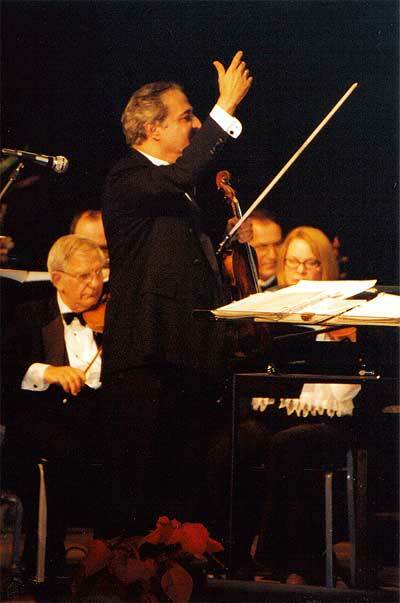 Conductor Nabil Azzam would like to thank Mr. Jamie Papish and Melanie for printing this program.